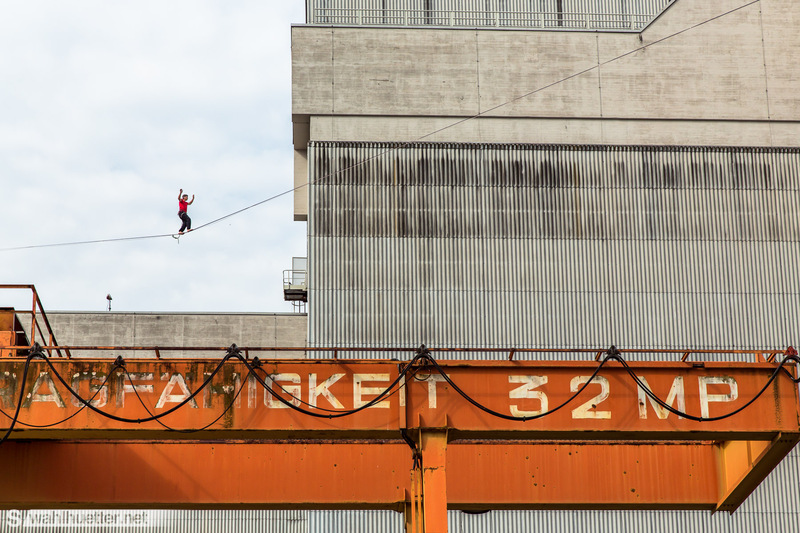 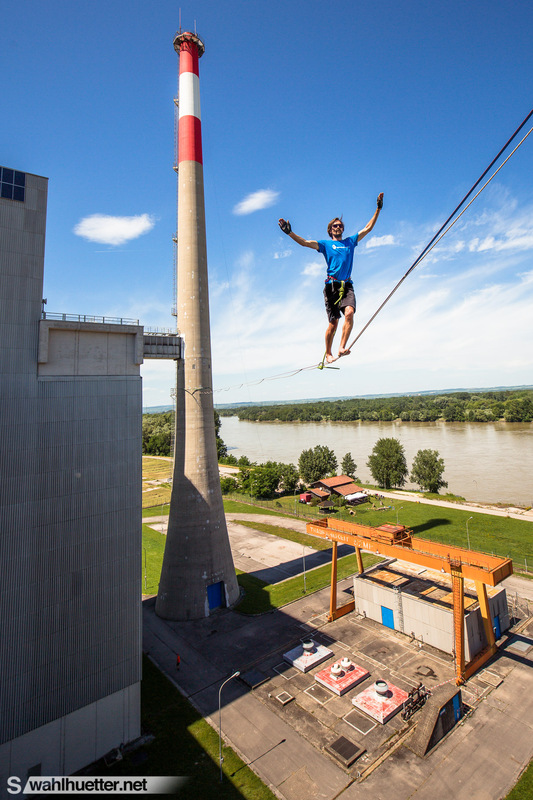 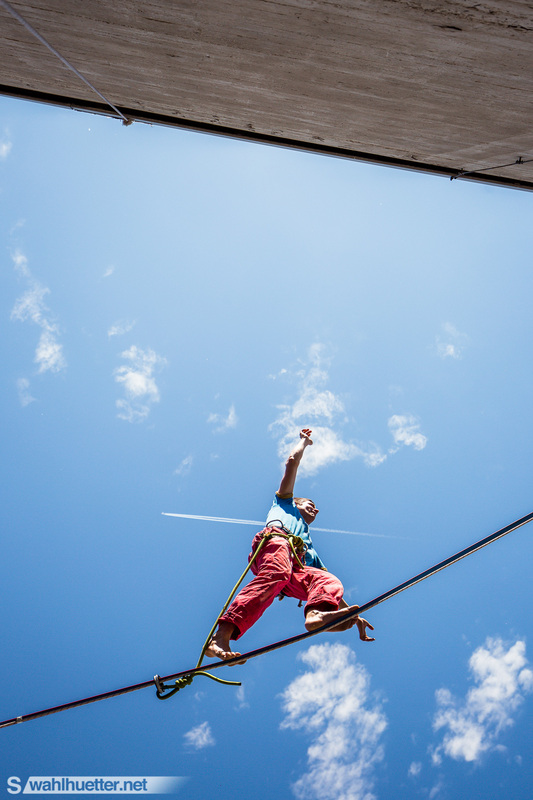 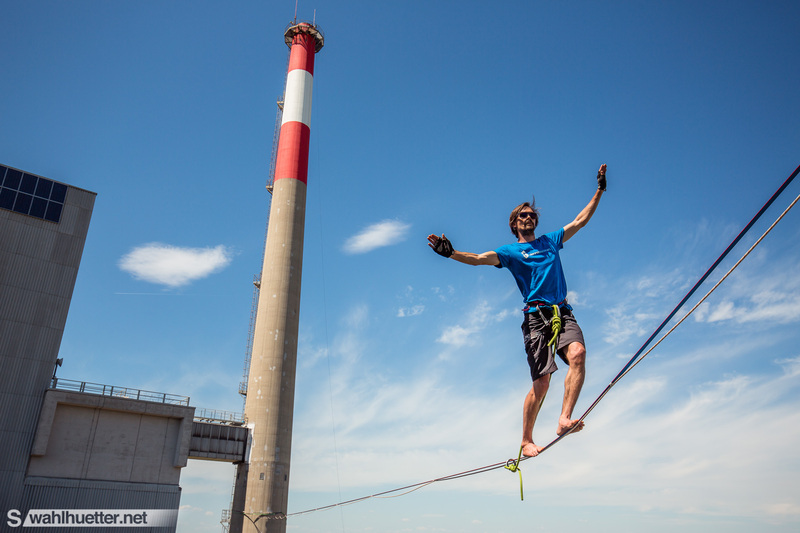 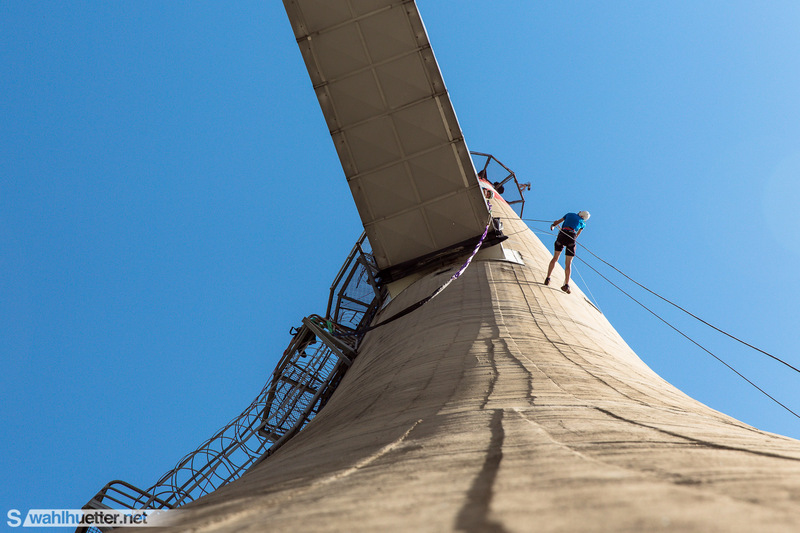 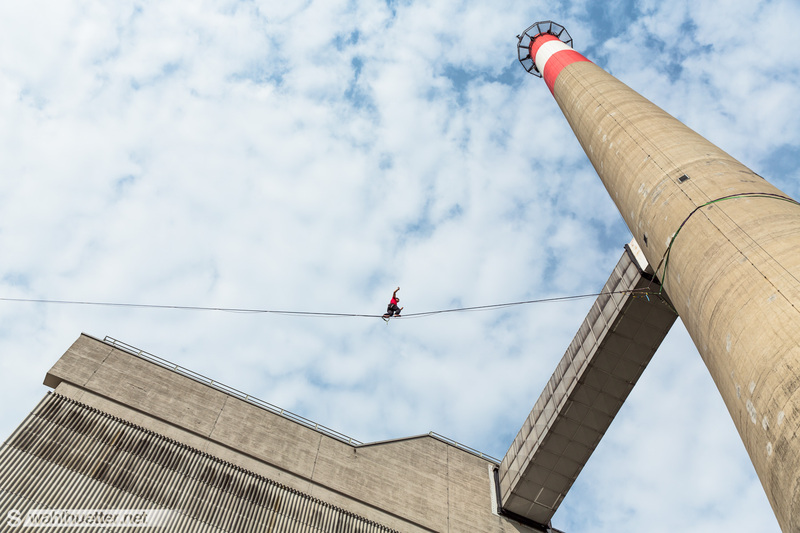 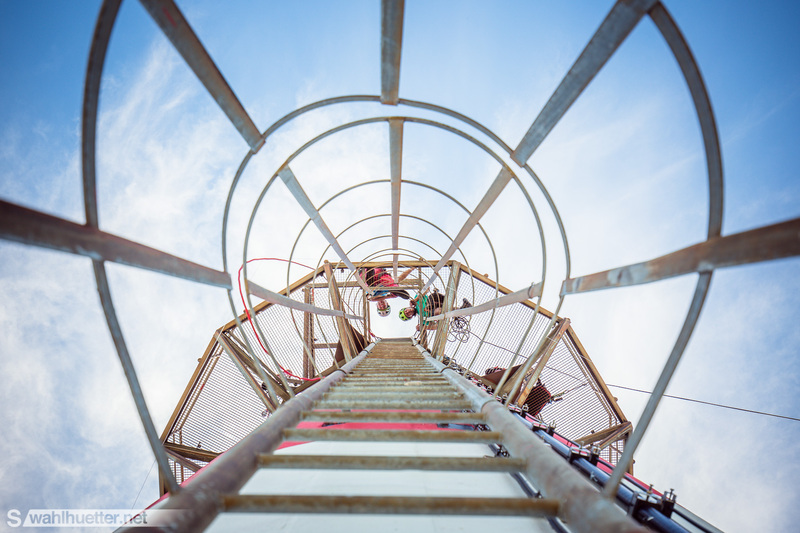 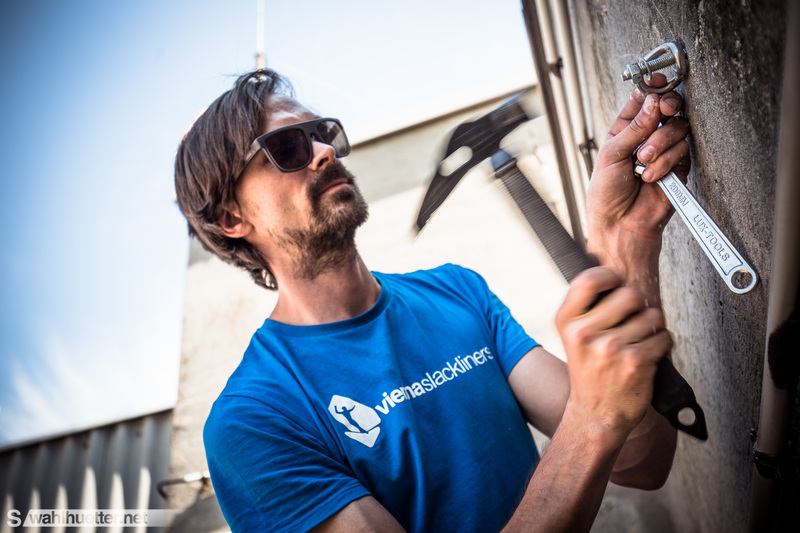 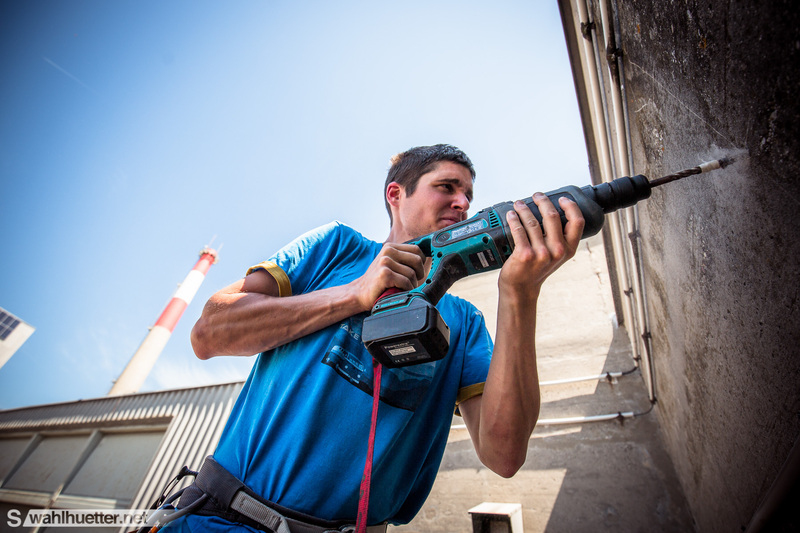 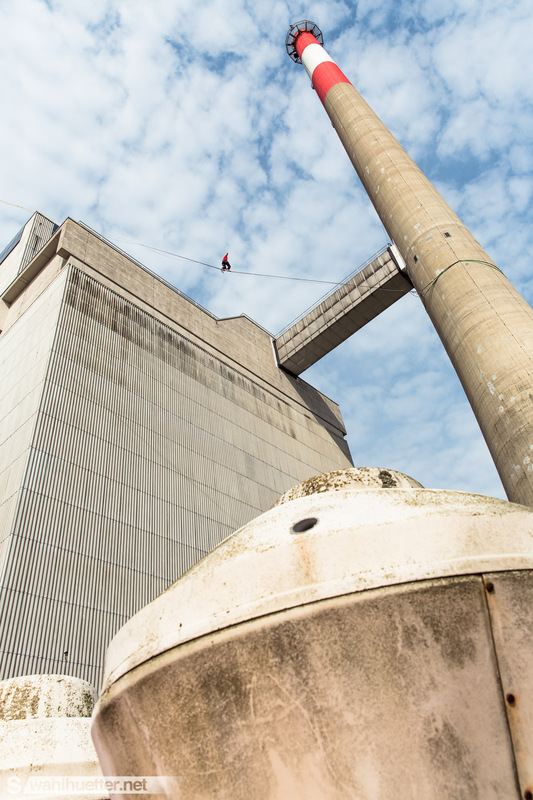 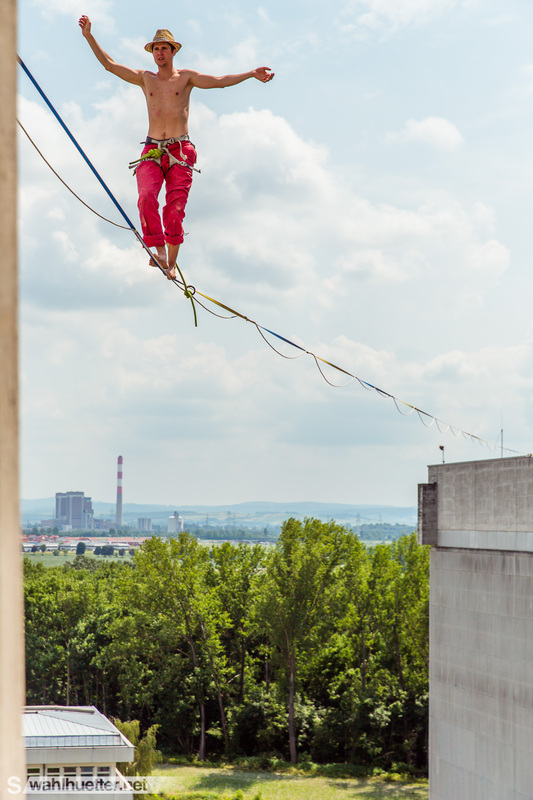 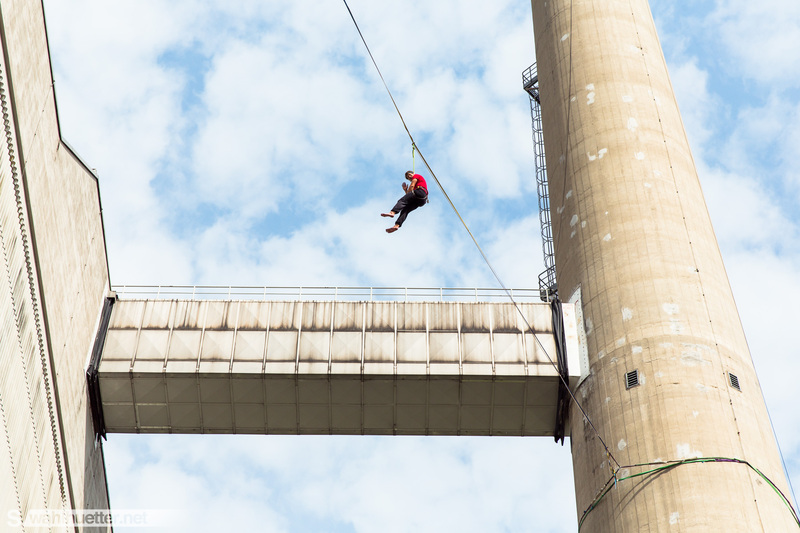 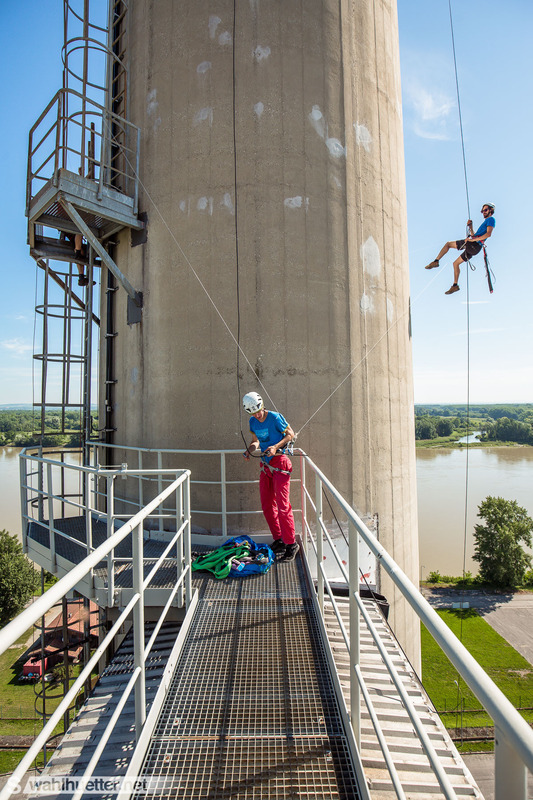 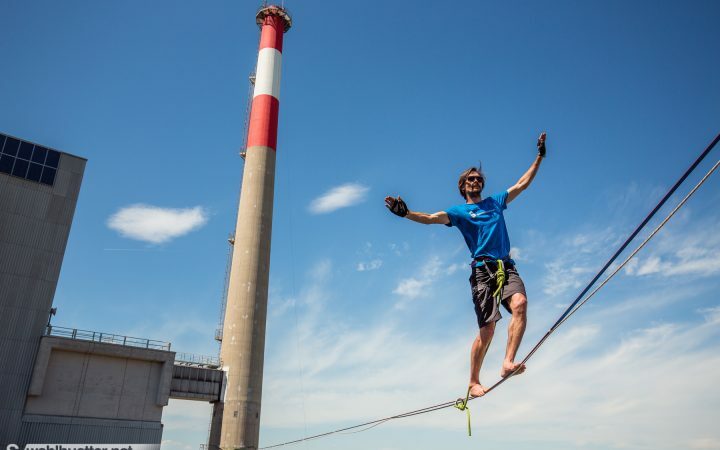 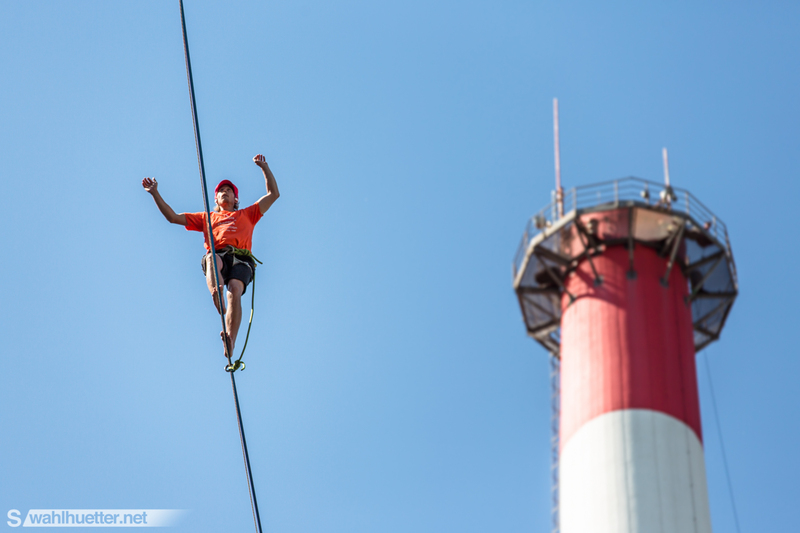 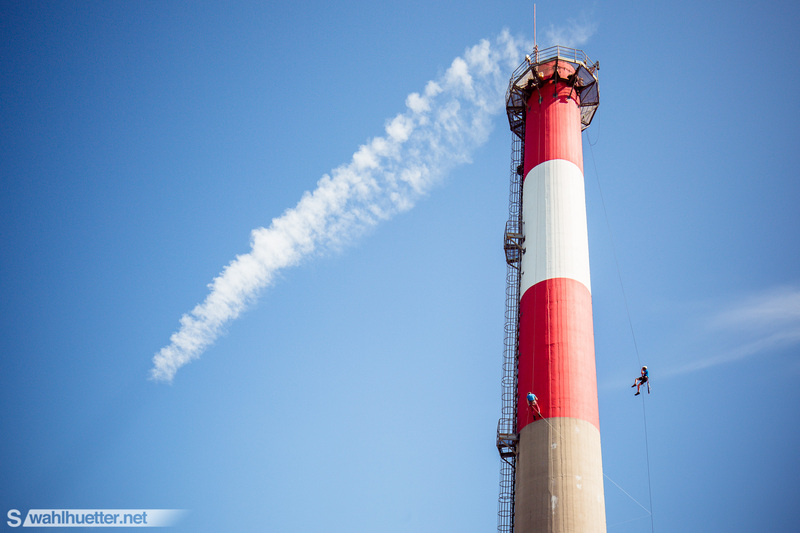 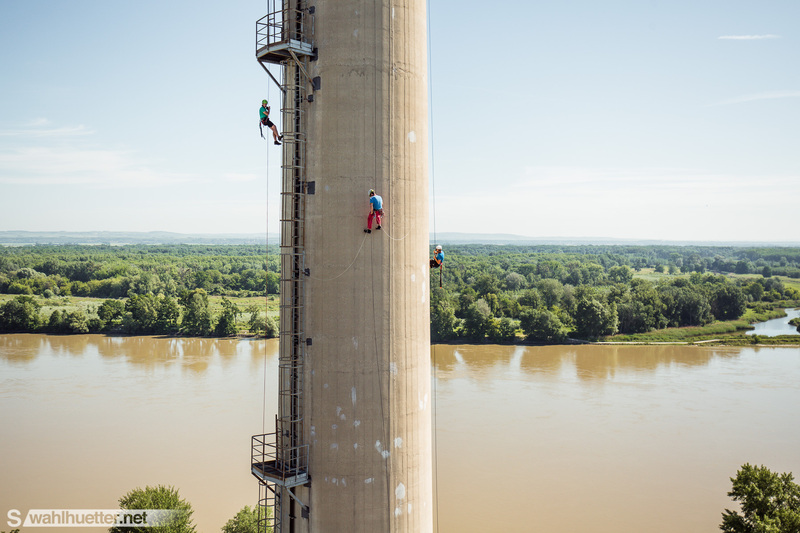 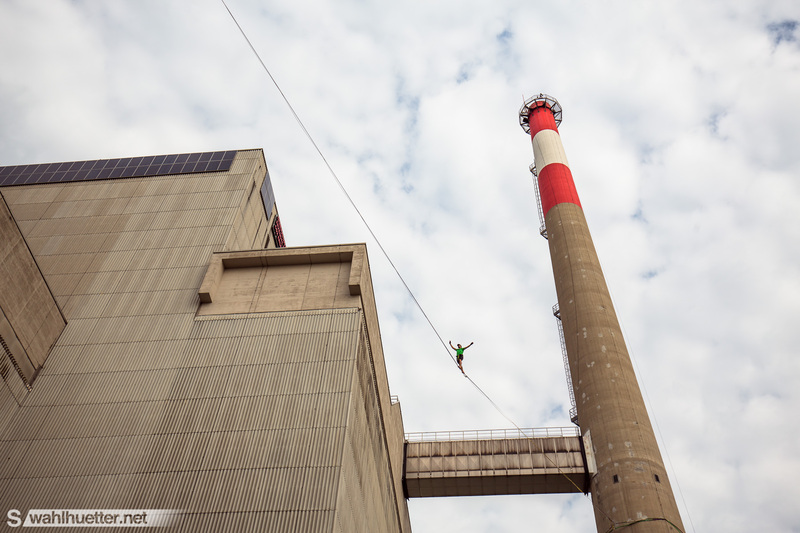 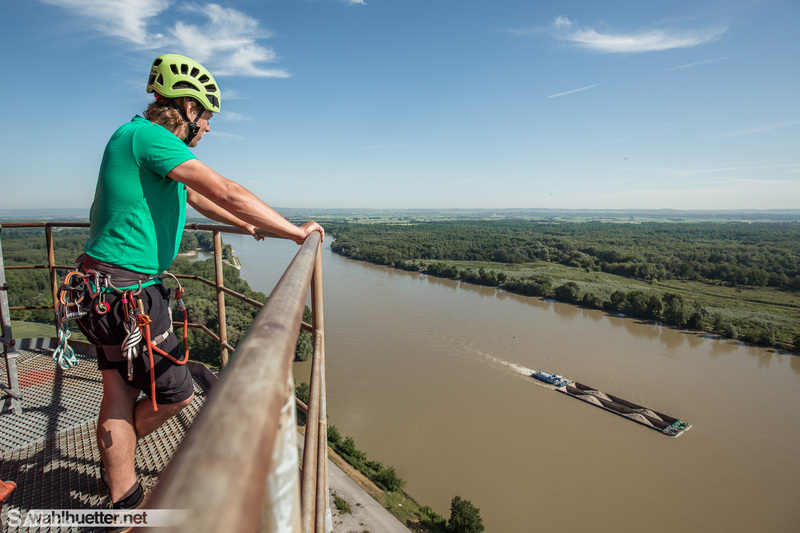 Tagged action, Adventure, Austria, behind the scenes, Highline, highlining, outdoor, Slackline, slacklining, Vienna. 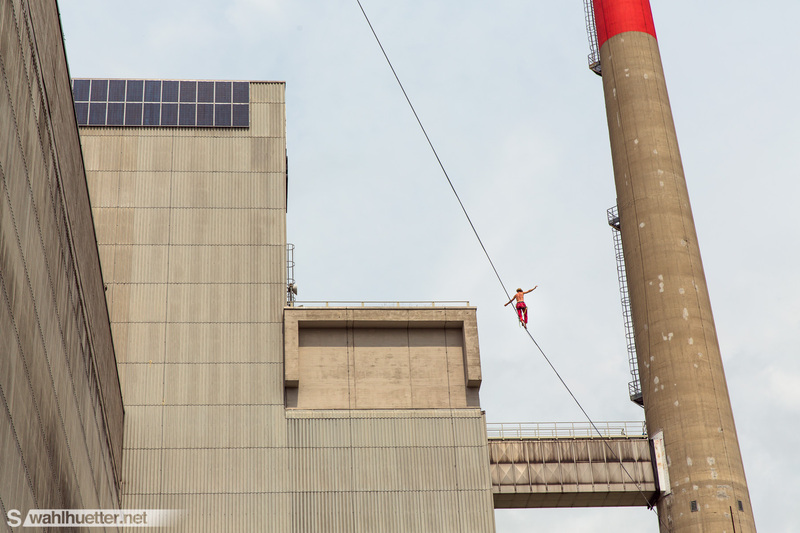 The crew members of the Vienna Slackliners pulling of yet another great action at an unusual location. 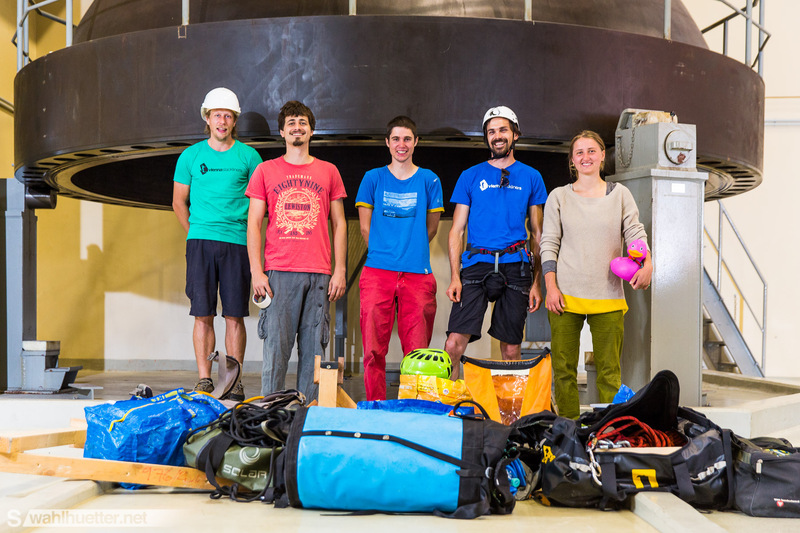 This time the team gathered to realize a project at the atomic power plant in Zwentendorf | Austria. 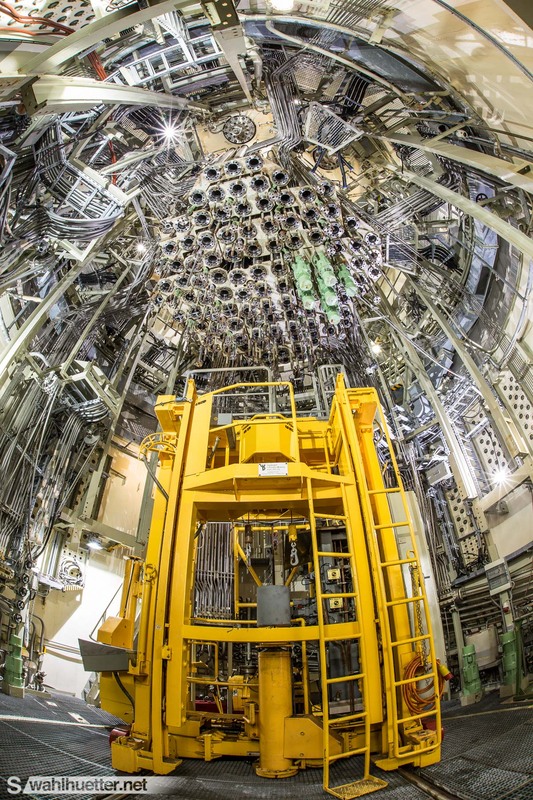 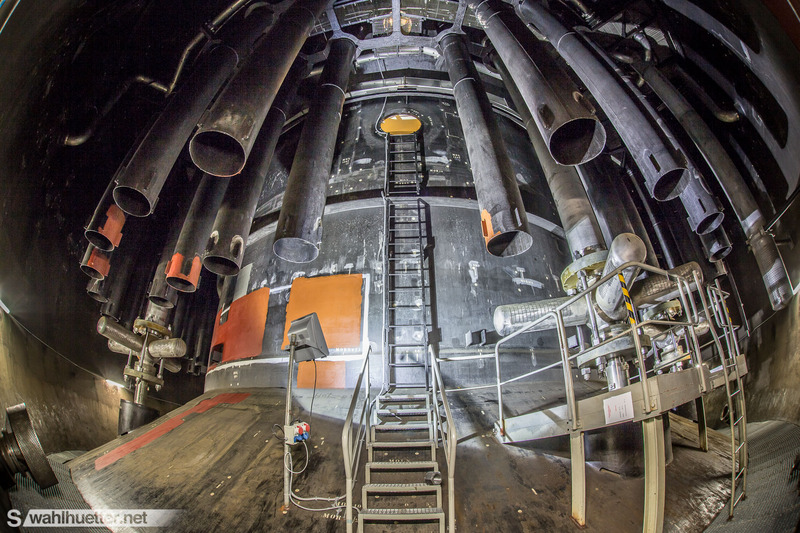 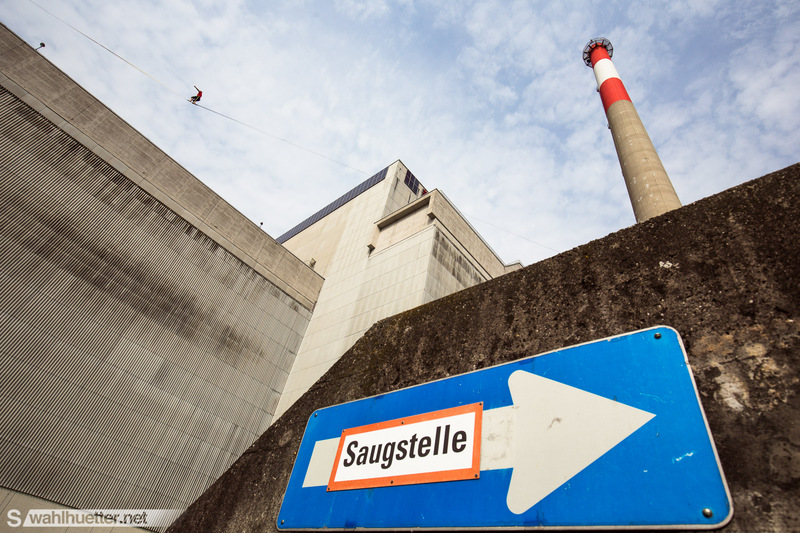 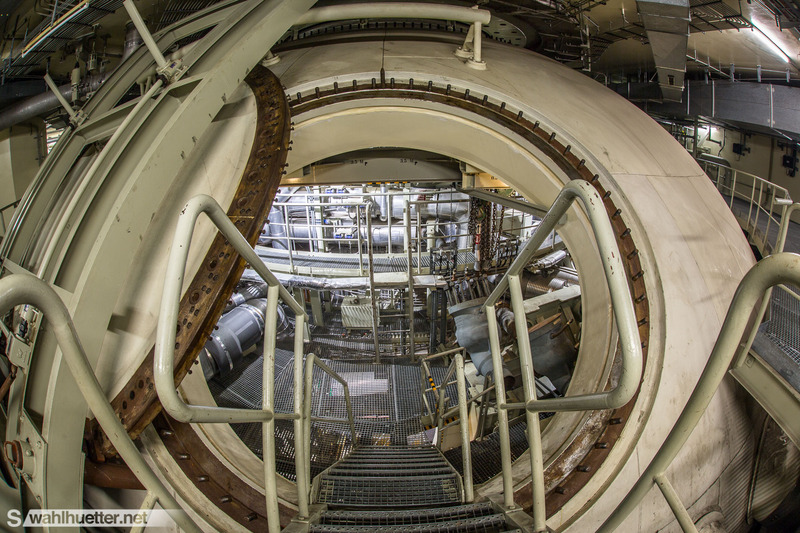 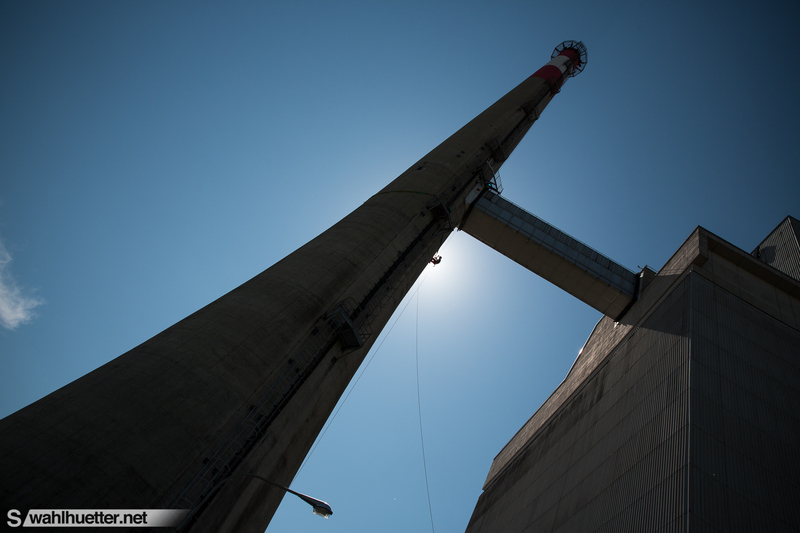 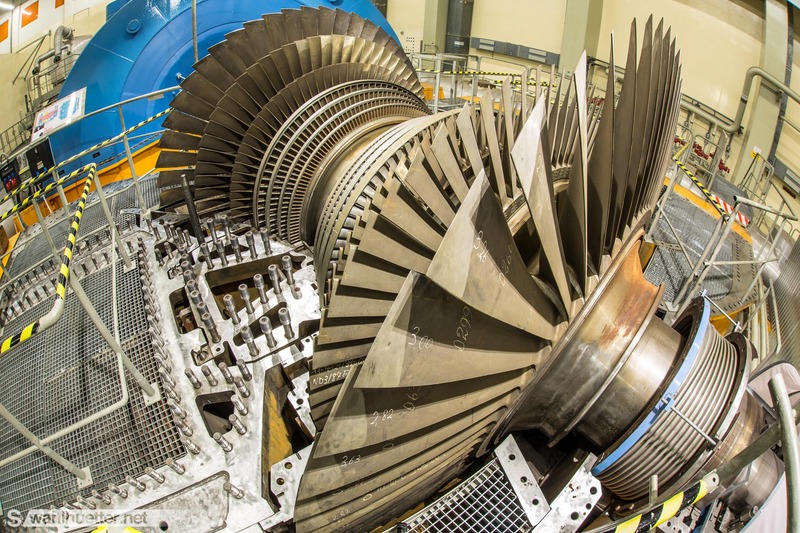 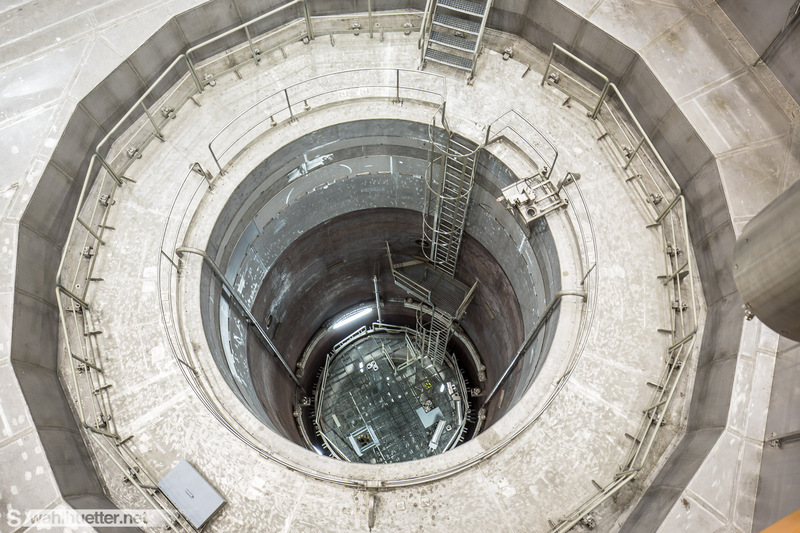 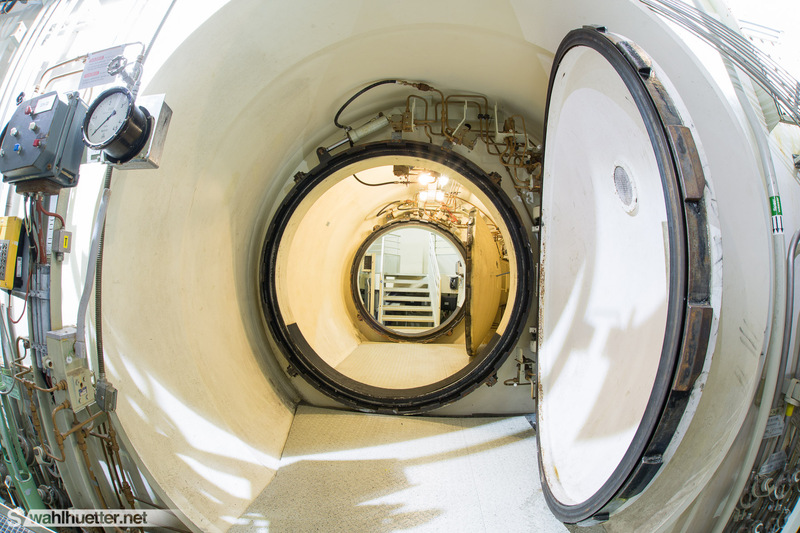 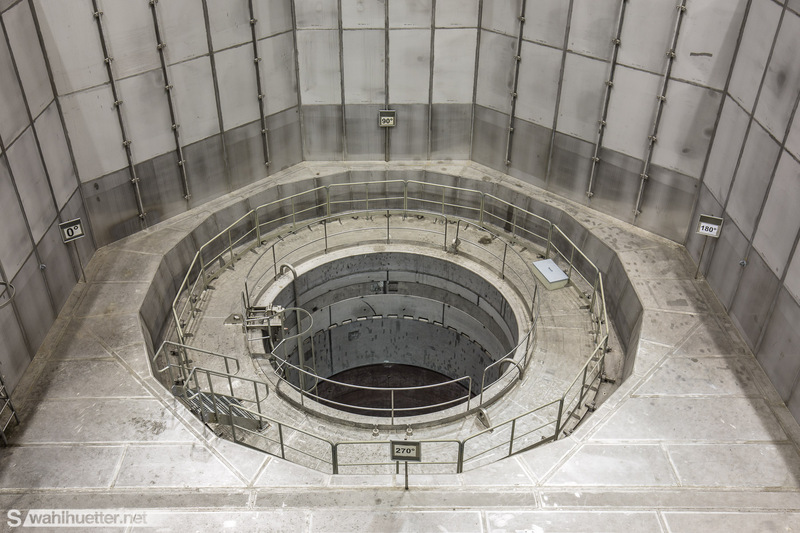 The controversial plant was built in the 1970s and just before firing it up a national referendum in Austria decided opting out of nuclear energy for good. 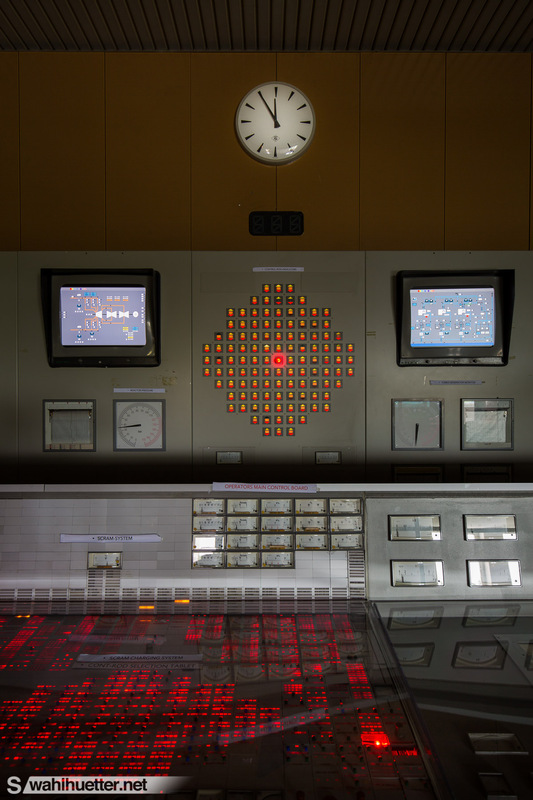 Nowadays the plant is a training ground for workers of other nuclear power plants all over the world. 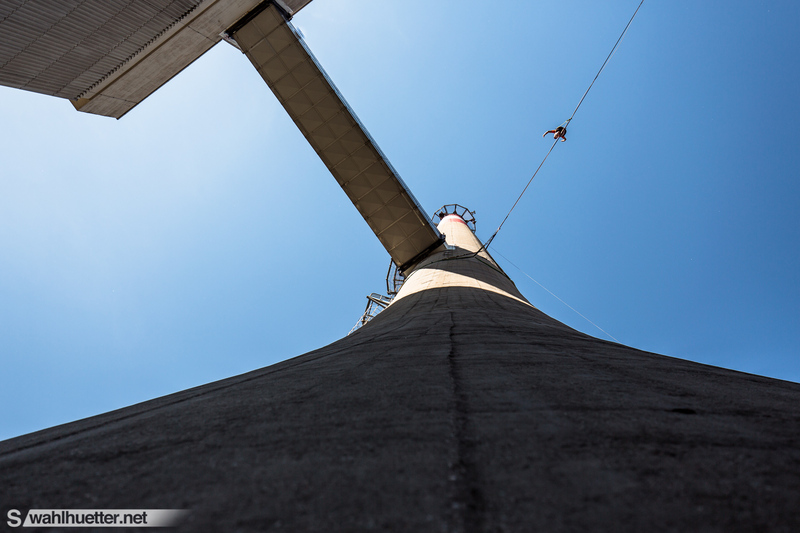 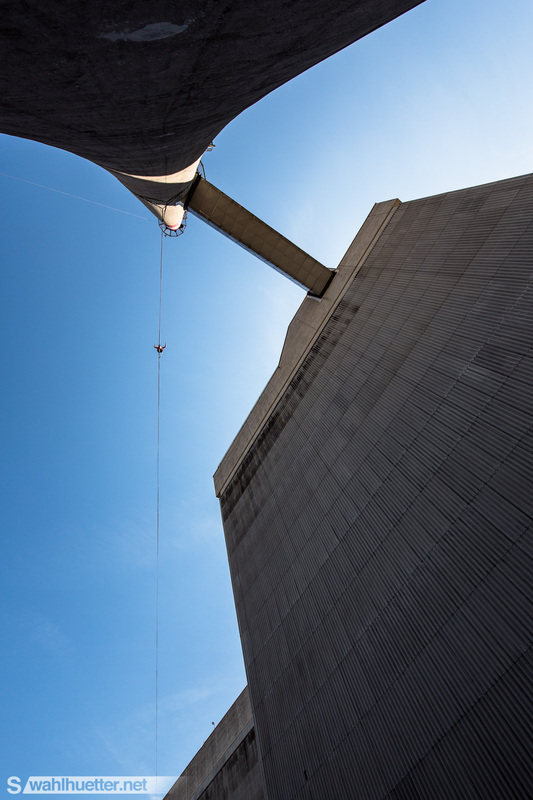 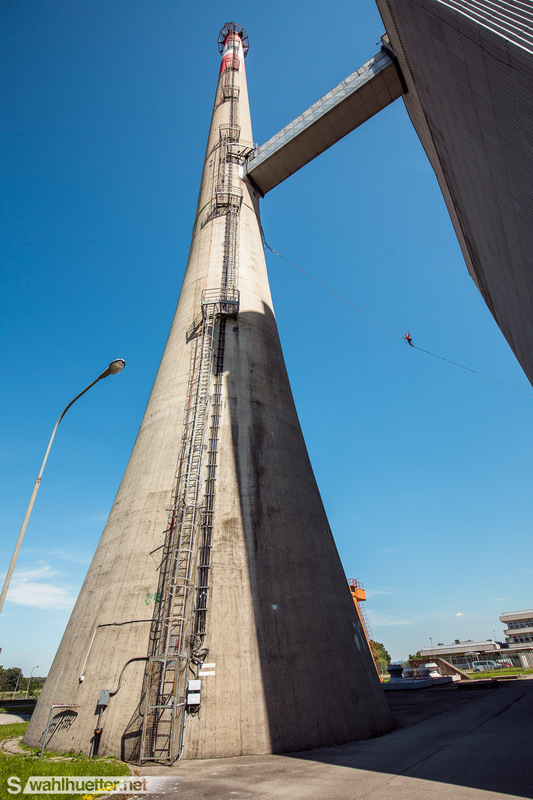 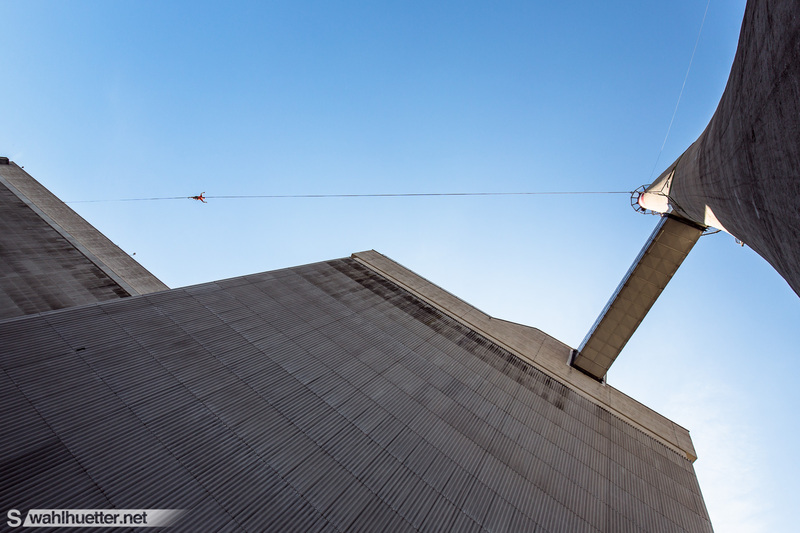 The line is about 90 meters in distance and 40 meters above the ground. 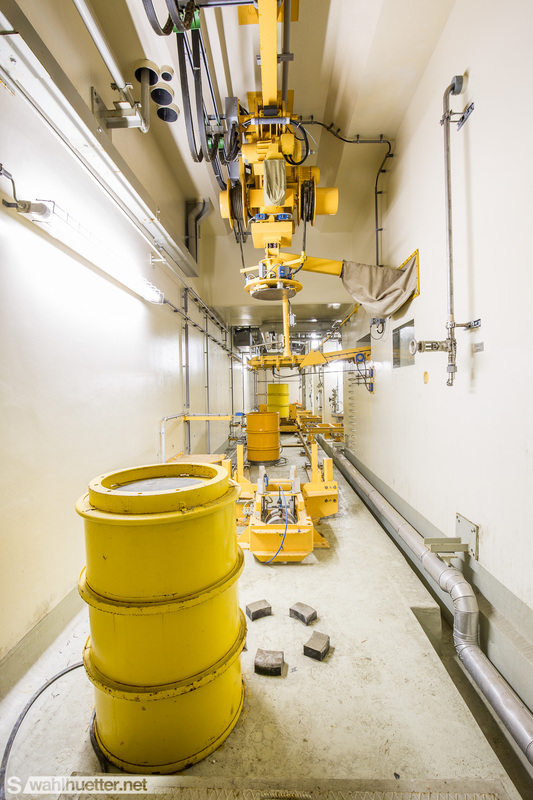 Big thanks to the EVN who runs this plant for helping in realizing this project.